A few days on from Apple’s most recent product announcements, and it’s good to be able to reflect on the the detail, and the media coverage that such an event whips up. Apple, particularly with Steve Jobs at the helm, we’re masters of whipping up the crowd and giving a clearly defined message, one designed to convey the important details and wash over those less important. The new iPad. That’s what we are now going to have to get used to. After all the rumours and speculation, the obvious expectations that it would be called the iPad 3, or at least the iPad 2S, or the outside suggestion of iPad HD, no such suffix is necessary. It is what it is, and I think that is a subtle hint on Apple’s part, a statement that the device now defines the category. I expect that in time, the iPad’s will be distinguished merely by the now common yearly upgrade cycle, so this generation will become known as the 2012 iPad, in the same way as its common to refer to a 2010 MacBook or 2006 Mac Pro. Whilst the change of nomenclature was probably an unexpected surprise, it’s entirely consistent with the Apple ethos to simplify and remove redundant detail. Whilst I was perhaps hoping for some game changing feature as part of the announcement, on reflection I can look back on my initial thoughts on the iPad announcement from 2010. Back then, I described it as a ‘big iPod’ and thought it lacked the killer feature. It took a few weeks of initial use before I became aware that the kills feature was not a single technology, but an amazing implementation. The 2010 iPad is not a replacement for any other device in its entirety, but it does nod towards the post-pc era as Apple hoped. 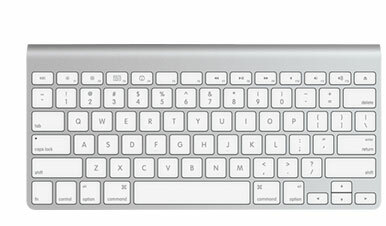 The PC on all its guises drifted from what many people wanted from a ‘personal computer’ and Apple created a product that perfectly meet that need. The 2012 iPad is, on paper, a collection of individual technical upgrades. Better display, processor, graphics, mobile comms, etc. but all in the same fundamental package. It continues to solve the same problem, whilst opening up the traditional PC niches in which the product can be employed. I’ve said for the last 18 months that with 5 years, the tablet and it’s off spring will represent the then definition of a personal computer, and the PC’s of today will take on the same allure of the fax machine. Useful and transformative in its day, but now a relic of the past. The Apple TV announcements were also similar in effect. Whilst everyone was waiting and hoping for Apple’s game changing new television set, they got an incremental upgrade to an existing product. The rumours around an actual TV set were in part driven by the statement from Walter Issacsons biography where Steve Jobs was quoted as saying they had finally ‘nailed’ the TV experience. Whilst many though this meant a new device would come along, it overlooked the possibility that the device already exists, it’s just not mature enough. Apple’s TV game-changer is not going to be any radical new display technology, remote controller or package of services. It’s small parts of all of those, that neatly align with the rest of the Apple eco-system. They don’t need to reinvent the remote control for example, they already have done. Households already include multiple next generation controllers – iPods, iPhones, iPads and even Macs. They just need integrating. I won’t put it past Apple to actually make a TV set, but I don’t think they need to. The only reason is because it’s about how the system is packaged. No cables. It replaces that pile of set top boxes, simplifies things and integrates seamlessly with devices you already own. If you need new controllers, look what else they can do – a whole app ecosystem that works right on your TV remote. And the special sauce? The iTunes store. Integrated billing, content selection and delivery, from the comfort of your hand and without even being in the same building as your TV. Watch anything, anywhere, at the time of your choosing, advert free. You just need to agree to the pricing, which given the simplicity and fit that such a solution would offer, most would be happy to pay, because it will be directly aligned to the amount of viewing. The new Apple TV is already making its way into people’s homes. The rest is just software and services that Apple can activate when they perceive that critical mass has been achieved. They need this to overcome the resistance of the media gatekeepers who currently rule the roost. It creates more leverage for Apple if there is a defined user base for the new order, rather than the belief that one can be created that upsets the entire industry. Tim Cook wrapped up the presentation by praising the innovation of its employees. The cynical viewer might have scoffed that there was no actual innovation as part of this announcement, merely increments. But my feeling is that it’s all part of a grand plan, and as Tim Cook said, 2012 has much more to come.